Madrid, 4th of July 2012. Question for Mr. Paul Krugman: "You seem to focus on the question what macro-economic policy we need to get out of the crisis, but you do not adress the more fundamental question what policies have lead us here. If you would do so, I think you would have to conclude that it was Keynesian policies - creating inflation to combat unemployment - who got us in this mess in the first place. Why do you think the measures you propose will have a different effect this time? Nervous answer: "All data point in that direction". My reply: "But surely, Mr. Krugman, you must know that the way in which data is validated as evidence is subject to a certain methodological theory too. I am sure you are familiar with the critique of the Austrian School of Economics, which claims that the cardinal data required for Keynesian equilibrium calculus can only be generated in a free market, in which only ordinal valuations take place, rendering the whole theory of aggregate demand as a tool of government intervention and central planning useless. How do you defend your methodological assumptions about economic reality?" Annoyed answer: "Excuse me. I promised to be home for dinner". 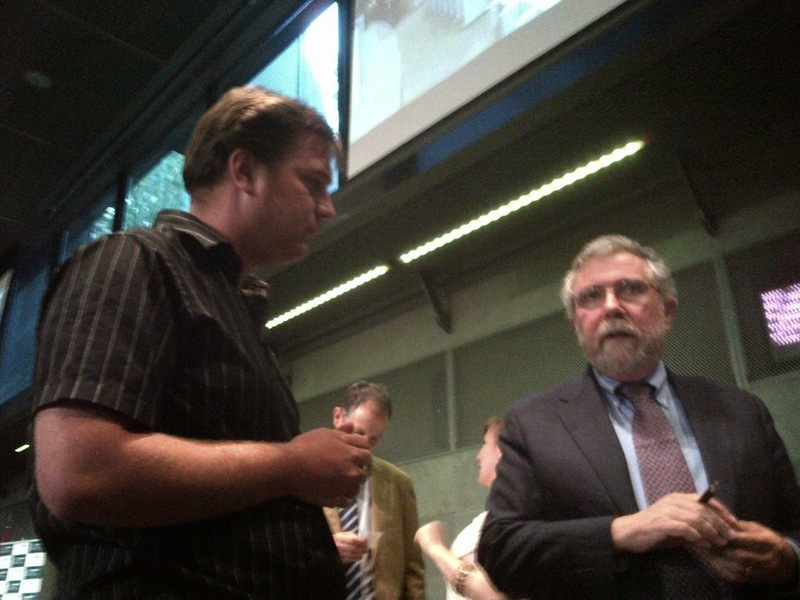 Paul Krugman, Nobel Prize Winner 2008.